I’d have to say, this has been the best year of reading in my entire life. I paid closer attention to what I was reading, and tried to make my reading count, not just for growth, but for delight. Often, these categories blurred and I double or triple dipped (“Roll of Thunder, Hear My Cry” is a diverse, classic book from my unread shelf), but I tried to tick those boxes each month. I read so many gems this year, it was agonizing to choose just twelve. (You’re like, “yeah, it’s supposed to be ten, not twelve.”) Surprisingly, only four are brand new, 2018 releases. Four are classics, and two are diverse reads (no surprise there). Which means two of my best of 2018 books were reads that sat on my shelf, in some cases for years (I’m looking at you, Bernadette and Alice!). Just goes to show, sometimes you can shop your own bookshelves for something superlative. If any of these books sound juicy/plummy/irresistible to you, please do comment! Each comment will be entered in a drawing to win the book of your choice from this list. It’s hard to believe I had lived this long calling myself The Bookseller’s Daughter and I had never read “84, Charring Cross Road.” When I did, in November of this year, I fell headlong into bookish love with this short but oh-so-sweet ode to great booksellers. This collection of letters between wisecracking New Yorker Helene Hanff (my new literary godmother, joining Maud, Jane and Nora) and the charming booksellers at a used bookstore in London is delightful. Listen to Helene wax on about the pleasures of used books: “I love inscriptions on flyleaves and notes in margins, I like the comradely sense of turning pages someone else turned and reading passages someone long gone has called my attention to.” Is she a kindred spirit or what? Can you believe I had never read this book before? Obviously, my life was elevated by the reading. This is the basis for one of my favorite movies (Emma Thompson is a QUEEN! ), but reading it was long overdue. I found myself admiring Elinor, wanting to beat Fanny with a broom, and relating a little too much to Mrs. Jennings and her penchant for becoming overinvolved in the love lives of others! All of these books in my top 12 list are listed in no particular order. Except for Eleanor. She’s TOPS, as my dad used to say. Tops! The worst thing I can say about Eleanor is that I read her so early in the year other books just couldn’t compete. Laugh out loud funny, heartbreaking, page-turning … Scottish Eleanor warmed my heart and got under my skin. On the surface, it’s the story of a social misfit whose life changes after a random encounter with a stranger, but is truly a tale for the awkward crank in us all. Which of my 2018 Best Of Books floats your boat, bookish friends? Comment below for a chance to WIN! After all, Courtney won “I Capture the Castle” in my last #Bookcrush blog! Filed Under: Anne of Green Gables, Book Club, Book Crush Lists, Contests Tagged With: Best Books of 2018, Book Club picks, Book Lists, Bookstores, Eleanor Oliphant, Jane Austen, Top 10 Books of 2018, what Alice Forgot, Where'd You Go Bernadette, Where's You go Bernadette? I’m so glad you loved Eleanor. She is a kindred spirit! When I was 11, my older brother Allan went off to the wonderful world of Calvin College. We were Dutch immigrants living in Barrie Ontario. Allan was influenced by “the Christmas spirit” in America and would come home at Christmas time with gifts for us all. (We were rather sober about Christmas giving— that was for St. Nicholas). One year Allan came home with a book as my gift. He knew I was an avid reader. It was Jane of Lantern Hill. Oh how I loved that book and still do to this day. My immigrant parents had no idea about books for me, but he, an English major at Calvin, did. That opened the world of Lucy Maud Montgomery to me. That world has never closed. What a lovely post, Christine. I love learning about the beginnings of you entering Maud’s world. I’m so glad you are there! I would love to read Marilla because of my love of the Anne series. I actually already added it to my goodreads account after reading about it on your site. I loved Marilla and feel that so much more could be written about her. I agree! Marilla is such a fascinating character. I LOVE the way Sarah McCoy develops the backstory. I have Marilla, but haven’t read it yet! Glad to see it on your favorites list! 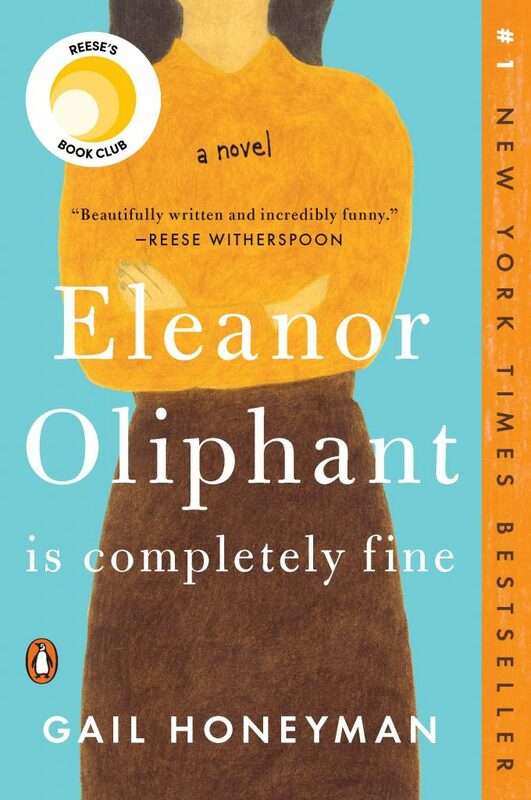 I really want to read Eleanor Oliphant is Fine because so many people have said its good!! It IS good! I can’t remember if it’s out in paperback or not. And DO read Marilla! You won’t be sorry! Yes, be hungry! 🙂 Marilla is a feast for Anne fans. You seem to have classic tastes…84, Charring Cross Road would probably, hopefully delight you! Marilla is already on my list because Anne, so I think Eleanor Oliphant is Completely Fine. I never read what is popular. Might do me good. 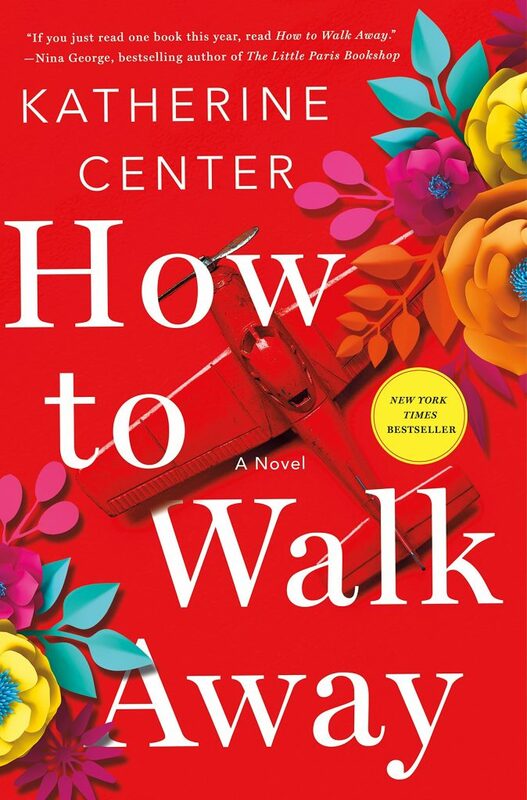 Lots of good stuff here—I would love to read either Pachinko or How to Walk Away (I’ve loved her other books)! So many good books so little time. I am currently loving Lucy Maud Montgomery books. I’m slowly working through Emily of New Moon. I’m not ready to dive into a Jane Austin yet. You will be delighted, I’m sure! Oh how to choose just one! The Prayer Coin, 84, Charing Cross Road, and Pachinko all look fantastic! I think if I won, I would choose Pachinko. I have “What Alice Forgot” all set from the library- hoping to read this week. Fun reads! Let me know what you think. It’s surprisingly thoughtful. Aww! I like this list! I have read What Alice Forgot during a rough patch and it just brought me a lot of perspective and gratefulness…it was unexpected! How wonderful that “Alice” helped through through a dark period! I know, that book looks fluffy but is filled with wisdom. I’d love to read Pachinko! I visited South Korea years ago and taught South Korean students at an international school for a year. I love books that help me learn more about different cultures and their history. Beautiful, beguiling Korea! Yes, we have a connection too: our daughter is adopted from there! I have be n antinf to read 84 Charing Cross Road for a long time. I love books about books! But they all look awesome and I haven’t read most. Oof! Those typos! I was clearly too tired to be posting anywhere. How embarrassing. Ha! Don’t be embarrassed. 🙂 It happens to the best of us! Wonderful choice, and now their are some utterly lovely cover options from which to choose! I’d have to choose Pachinko because I love a sweeping epic! Marilla, though, would be a close second, because Anne and all things PEI. Interesting list! I am particularly interested in Jane of Lantern Hill ( can’t believe I haven’t read that Montgomery one😬) and Ghosted sounds awesome! I am conflicted over Marilla because, yes! They are sacred characters! But your opinion intrigues me. I promise you, Marilla is worth your time! 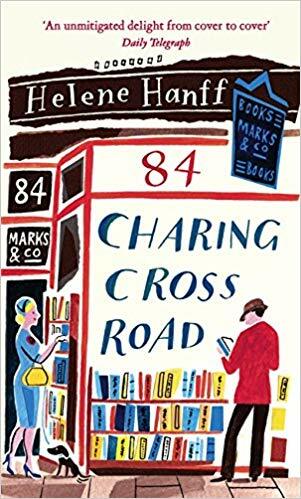 I adored 84, Charing Cross Road because of YOU! Thanks for the recommendation! I also lived in england for 10 months in my mid 20’s and adore any book that takes me back there! This one did and I just loved it!! I just finished 84, and I enjoyed it so. Have you watched the movie version? I got it from my library and I really enjoyed it also. Aha! No wonder you are a kindred spirit. I love anything English, too! You had a wonderful reading year 😊❤. I love L.M. Montgomery and her book The Blue Castle is my favourite book of all time. It broke me and mended me back together and I relate to the main character so much. Her struggles and life mirror my own and she inspired courage in me. 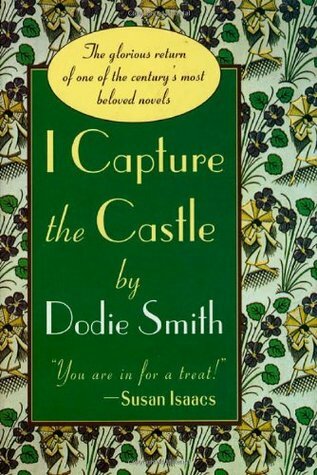 Falling in love with The Blue Castle has inspired me to journey with all of L.M. Montgomery’s characters and experience all her magical stories. That’s why I want to read Jane of Lantern Hill but it isn’t available in Kenya unfortunately so I’d love to win it. Oh, I wish Jane was available in Kenya. No even in ebook form? Someday, you will love Jane and be reminded of Valancy. I love your categories for reading choices! What a good idea. Hmm, you’ve got me intrigued to try Pachinko, with Marilla being a close second! Those are very different books! 🙂 It would depend on what you were looking for, a challenge or a beautiful, comforting read. 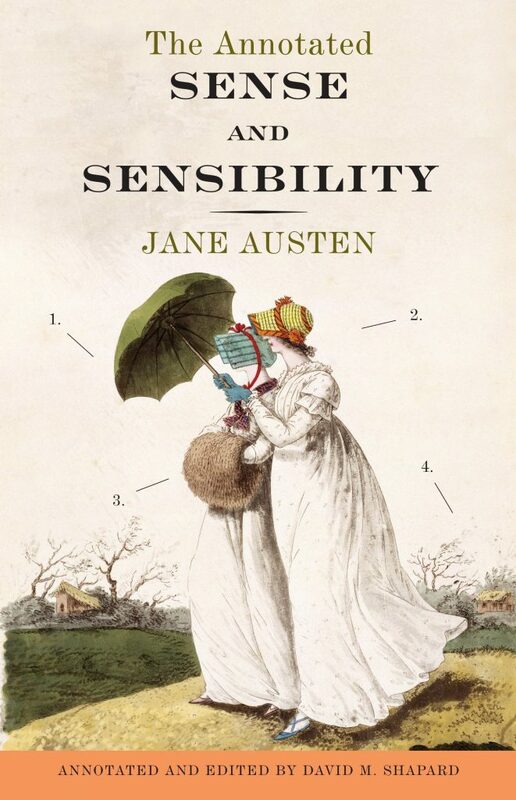 Haha–yes, it’s hard to finish Sense and Sensibility on one library loan period! Eleanor Oliphant Is Completely Fine BECAUSE I feel like she and I are alike these days, we tell people we are doing fine but reality is the exact opposite. I’d be quite happy with ‘Jane of Lantern Hill’ because there is something about the Kindred Spirit and the Race That Knows Joseph that resonates within my own heart. I love L.M. Montgomery! I’ve read 84 Charing Cross Road, I would love to have a copy for a reread. It’s a book that can be read and reread! I would love to read Marilla. Thanks for the chance! Such a hard choice, but I would have to say The Prayer Coin to help me improve my prayer life. Pachinko would be a very close second as I love epic tales of culture and characters! 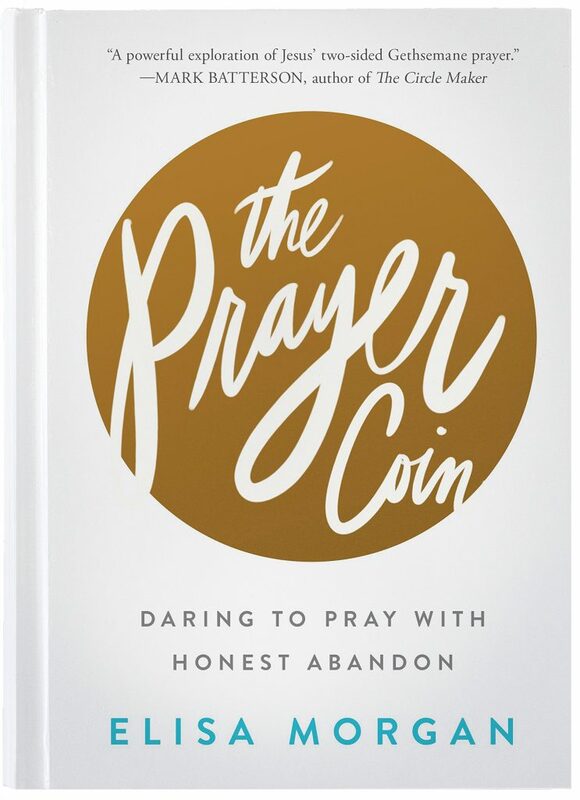 The Prayer Coin is simply amazing. Such a refreshing, insightful read. Hopefully, I have done just that. You won’t regret it! Pachinko and Marilla of Green Gables have been on my TBR! Marilla because I LOVE a good backstory and I only found Anne as an adult and fell immediately in love. 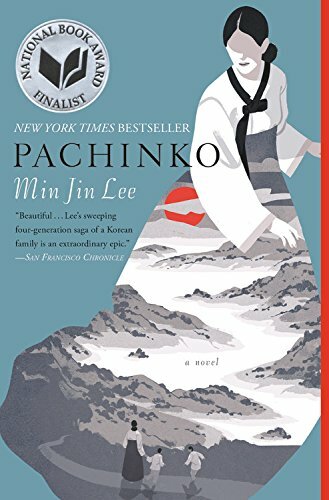 Pachinko because I adore a family saga that sweeps generations and I’ve heard incredible things about this book! Very different books, but both so worthy! You read so many good ones! I reread Jane of Lantern Hill and loved it all over again! Eleanor Oliphant was so good. I have Pachinko to read and your description really wants me to pick it up now. But out of the ones you listed 84, Charing Cross Road pulls me in because of the bright cover!! That is a wonderful cover! Probably the prettiest and brightest. Not sure how available that cover is, but if you win, I will try and get it! Eleanor…Sense and Sensibility…Jane…how to decide?!!!! Taking a first ever trip since married 24 years ago with hubby to Scotland, I have to go with Eleanor. Oh yes, whether you win or not, go with Eleanor! I loved Eleanor, as well (though she is not completely fine, IMO); and Bernadette gave Antarctica a spot on my bucket list. I have yet to read Sense & Sensibiliyu, either, so I think that one would be tops on my list though I did purchase a copy for my eldest daughter for Christmas. Marilla still piques my interest and if you say it’s requisite I’m inclined to believe ya! Mia, Marilla is requisite! 🙂 I mean it! And I love that you loved Eleanor and Bernadette! Thank you–you will adore Marilla! 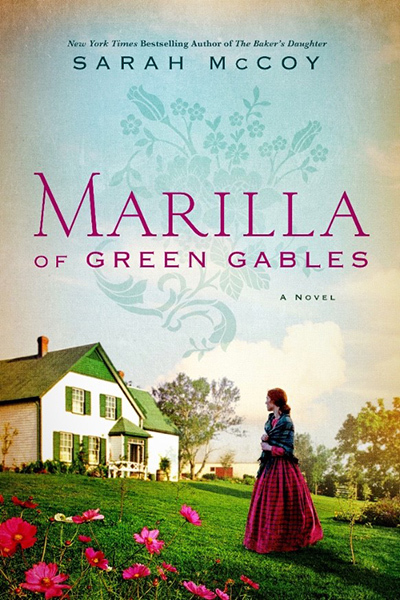 My favorite that I’ve read on your list is Marilla of Green Gables, because I felt like it fit into my perception of the beloved characters while also expanding the character development in wonderful new ways. 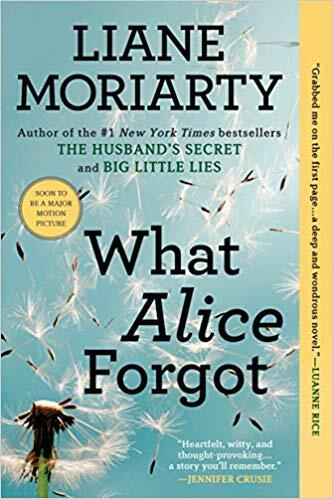 The one I’d like to win is What Alice Forgot, because I’ve heard so many people say it really made them think about their life (as well as being highly entertaining). Yes, wasn’t Marilla wonderful? Alice is also fabulous, in a very different way! How was the movie? I am going to get to it one of these days! I think I will go with Sense and Sensibility as I live near one of Jane’s homes in Bath! Wow! How lucky are you? Absolutely. She gives hope to everyone who has ever felt awkward (which is all of us, in varying degrees. Hope you get a chance to read it! Ive only read three on your list. I loved Eleanor Oliphant though! Her character was so deep I just wanted to meet her in person. She didn’t feel like a fictional character to me. I agree. Eleanor felt extremely real. Read The Girl In the Window just before the end of the year and it was SO GOOD. Great! Thanks for the recommendation! Your monthly reading plan is inspiring! I purposed to read more in 2018 and have enjoyed fulfilling that promise to myself. I also feasted on some long-neglected classics, including the Anne of Green Gables series. Accordingly I was super excited when Marilla came out and took a break from the series to read it. Thanks for sharing your plan and list; I may try it out! Thanks, Beth. I am thoroughly enjoying reading one classic and one diverse book per month–especially those two categories. Here’s wishing you a wonderful year of reading! I love following your bookish posts! I really want to read Eleanor since you loved it; I keep hearing good things about this book! Thank you Sarah! I did love Eleanor and hope you do, too! Jane of Lantern Hill- Love L.M. Montgomery, & have never read it. I love Jane Austen, & S&S is a favorite. You will love Jane of Lantern Hill. LMM wrote it in the 30’s, so a bit of a different feel. Yay, Emily of New Moon! I adore her, and know you will, too. Thanks for keeping an open mind about Marilla! Such bounty to choose from… Being a book loving, Anglophile, I would have to select 84 Charing Cross Road…. Nothing quite like a new book and a pot of tea…. Oh my, yes. You will love Helene and her bookseller friend! I always love going through your book recommendations mainly because I feel like we have similar tastes and I love hearing what you think of certain books! From the list you have, I have been able to read a number of them and I have thoroughly enjoyed them all. I am very much looking forward to reading 84 Charing Cross because I’ve heard such wonderful things. Marilla is also on my list to read this year because Anne and her family are so near and dear to my heart! Thank you, Ashley! It’s wonderful to know there are so many bookish kindred spirits! You’re in for such a treat! the perfect book to read with a cuppa! You will love Marilla. So much historical detail and TLC for the Anne story. We are kindred spirits. I read 84, Charing Cross Road and Sense & Sensibility both for the first time this year. I also love Bernadette. Recommend it to everyone. Have Marilla in my TBR pile. Would be most interested in Jane of Lantern Hill. Some good choices and I love your reviews. Yay! So glad you, too, want to increase the diversity in your reading. So enriching! It looks like there are many of us not wanting the Anne stories sullied! Your review of Marilla has sparked hope and intrigue that this is a good fit and worthy read. I would be thrilled to receive a copy. Thank you for a wonderful list and the incentive to read much more in 2019! “Sullied”! Haha. Such a great word. I promise, Marilla will not sully Anne–just the opposite! I would love to read Marilee or Jane as I am just discovering the beautiful world of LM Montgomery (at age 54)! Thank you for the recommendations! NEVER too late to enjoy our beloved Lucy Maud! 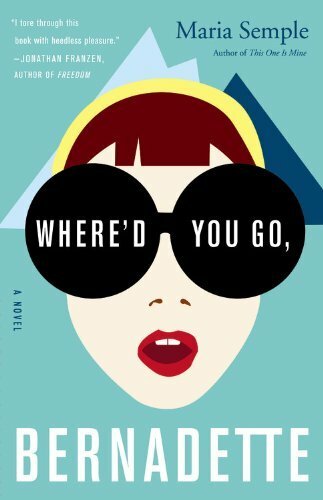 My son saw the cover of “Where’d you go Bernadette” and said it looked like a “mom book” and that I should buy it! So I did and he was right, sometime judging a book by its cover is a good thing!! So excited to learn about the movie!!! It is a mom book, he was right! I loved Bernadette’s relationship with her daughter. Can’t wait for the movie! The Blue Castle is one of my favourite books ever! Valancy rocks! My fave read of 2018 was the very last of the year: Someone Like Me by the amazing M R Carey (who wrote ANOTHER fave, The Girl With All the Gifts). Isn’t that amazing–your favorite read of the year was the very last one! Welcome, Barb! Kindred spirits welcome here! Yay–another Bernadette fan! Can’t wait for the movie! I love best of lists, too. Thank you, Dora! Happy Reading! “A bookish year ahead…”! YES! I cannot decide! Marilla sounds amazing, but so do Jane, Eleanor, and Charing Cross!! If I get the chance, many of these will end up on my 2019 reading list! What a great list! Which makes it difficult to choose. I have had my eye on Amarillo for a while (though Eleanor looks intriguing too….). Either way, I’m bookmarking this post. Thanks! Haha! Maybe someone should write a new prequel set in Texas: Amarillo of Verde Gables! Definitely want to try Marilla!! I am on track to reading everything ever written by L. M. M… Course…..she’s not the author, but, if she has Montgomery’s style, I’ll love it! ! I promise, she is wonderful and has taken such loving care of this story. Thank you! No need to be sorry! 🙂 Kindred spirits are welcome anytime! Eleanor is on my to-read list but am also dying to read about Marilla! 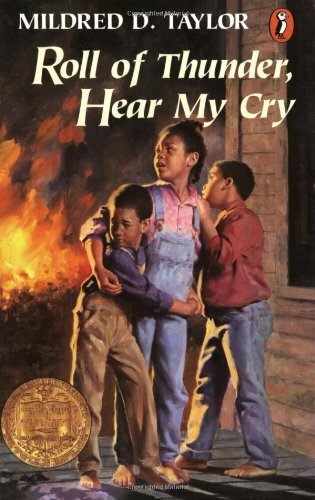 Roll of Thunder, Hear My Cry was one of the booksnwe read in fifth grade. I fell in love with Mildred D. Taylor’s books and characters. That year whenever we went to the library I almost always picked on of her books to check out. I loved reading this as an adult. A powerful book. Mariela and Eleanor are on my TBR! 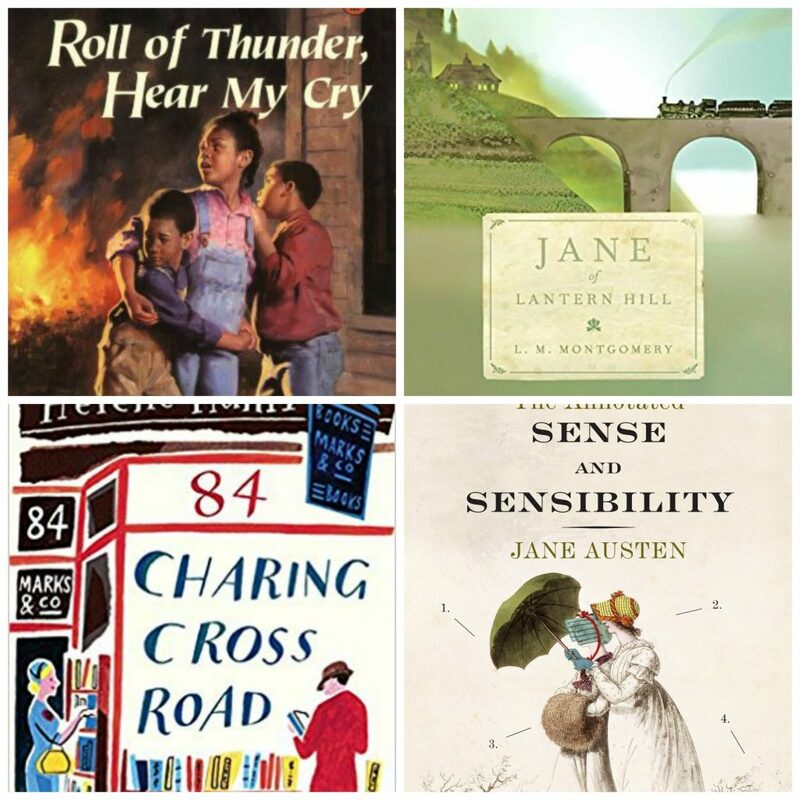 “Marilla” is on my list and “84, Charring Cross Road” looks charming and I can’t wait to read it! Sound like a wonderful pairing! 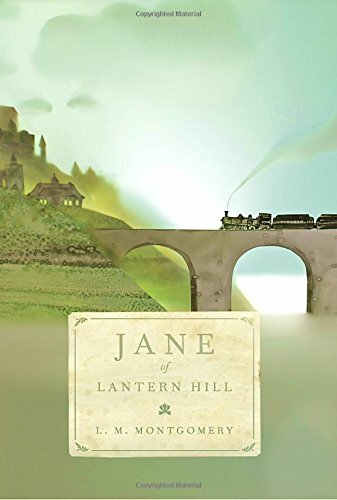 I would love to read Jane of Lantern Hill! It sounds amazing, and I love Montgomery’s style. First, I want to thank you for the book crush list. I’m always looking for the next great read. I checked out 84 Charing Cross Road from the library. I absolutely loved its charm. It made me want to find all the books she requested! I would like to read “Marilla” next. Ooh, I am delighted that you read 84, Charing Cross Road! 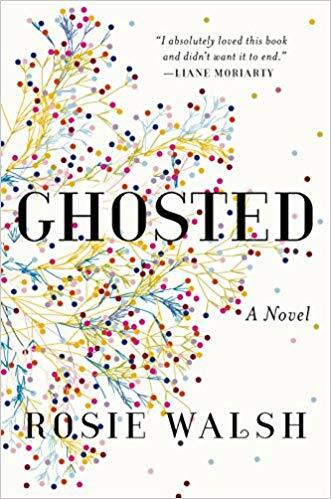 I can’t wait to hear what you think of Ghosted! Sounds like you will love it. Both Marilla & Jane are calling my name! I hope I’ll get to read both in 2019! And maybe Eleanor too! These all look so good! Marilla and Jane would be perfect read together! Sign up here for the latest blogs and schedule updates! If you do, we (me and the monarch butterfly clinging to my window) will send you a deluxe set of Mother Daughter Book Club questions for "Anne of Green Gables!" There's always room for one more kindred spirit!